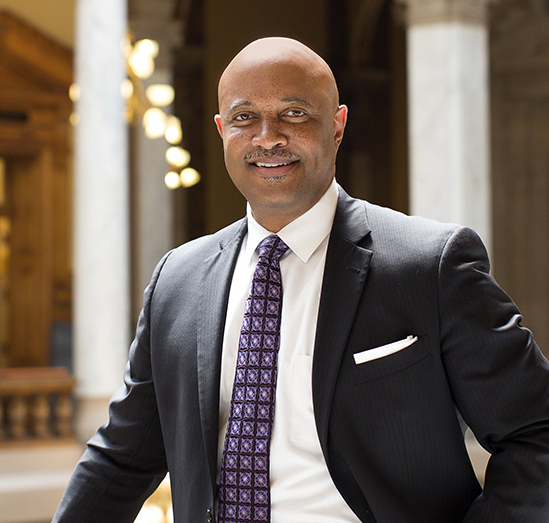 Indiana Attorney General Curtis Hill. Photo from the Attorney General of Indiana website. Hill “holds a position of extreme public trust,” and as a government lawyer he has “a heightened duty of ethical conduct,” according to the March 19 complaint by the Indiana Supreme Court Disciplinary Commission. The Indianapolis Star and NWI.com have coverage. Hill’s position of public trust is cited as an aggravating factor in the complaint. Other aggravating factors are his denial of responsibility for his actions, his lack of remorse and his selfish motive of sexual arousal, the complaint alleges. The complaint also alleges shifting explanations by Hill. When legislative leaders first confronted Hill about his actions, he said he had too much to drink, the complaint says. Next, he said the allegations are untrue and implied the victims had given false accounts. Later, he portrayed the victims as mistaken. The complaint says Hill’s bad behavior happened at a March 2018 bar party marking the end of the legislative session. He is accused of rubbing his hand down the bare back of a lawmaker in a backless dress, then grabbing or touching her buttocks. He is also accused of rubbing his hands up and down the back of a legislative staffer, grabbing another staffer by her waist and pulling her toward him, and moving his hand down the back of a third staffer. When the third staffer tried to flick Hill’s hand away, he grabbed her wrist, moved her hand toward her buttocks and touched her buttocks with his own hand, the complaint alleges. He also told one of the women that she was “really hot” when she remarked on the hot temperature, and he told a group of women that they had to show some skin to get drinks, the complaint says. The complaint said Hill’s conduct amounted to sexual battery and battery—acts that reflect adversely on honesty, trustworthiness or fitness as a lawyer. His conduct also was prejudicial to the administration of justice and a violation of the attorney oath to abstain from “offensive personality,” the complaint said. A special prosecutor declined to charge Hill in October because he didn’t think he could prove intent needed to prove battery. Hill had told investigators his touching was not intended to be disrespectful, sexual in nature or rude. Hill’s lawyer, Don Lundberg, told the Indianapolis Star and NWI.com that the allegations have been investigated by the Indiana General Assembly, the inspector general and a special prosecutor. And all found no further action was warranted. “This matter will be addressed through the proper process outlined for disciplinary complaints in the state of Indiana and we are confident it will conclude in a manner consistent with the results of the prior investigations,” Lundberg said in a statement provided to the publications.